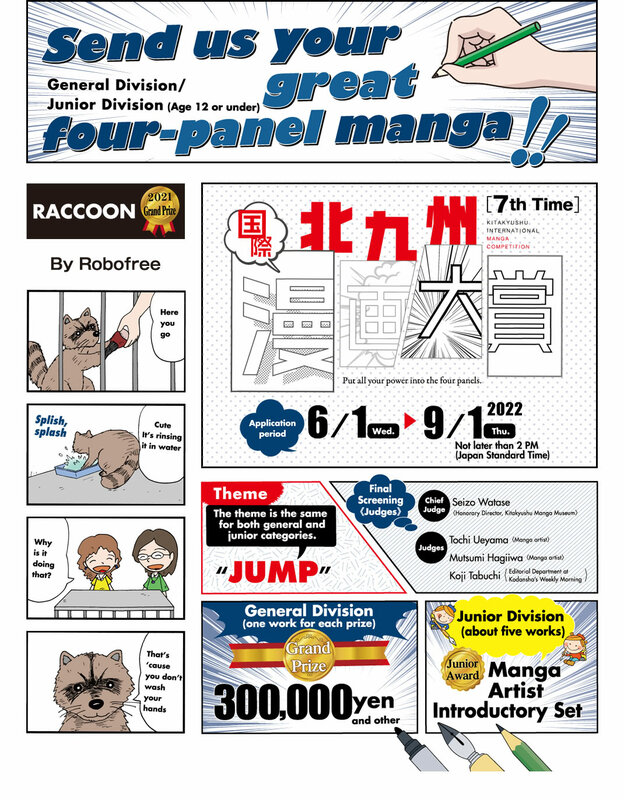 Kitakyushu International Manga Competition | Put all your power into the four panels. from Kitakyushu in order to spread manga culture throughout Japan and abroad. From Sunday, July 1, 2018, to 2:00 PM (Japan Standard Time) on Sunday, September 30, 2018. The City of Kitakyushu has a history that produced many manga artists. The Kitakyushu Manga Museum opened in the City of Kitakyushu with the mission of transmitting the passion of current manga artists to future generations and inspiring young people to hold ambitions and follow them. We look forward to receiving great works from everyone who feels pleasure in creation and has passion.